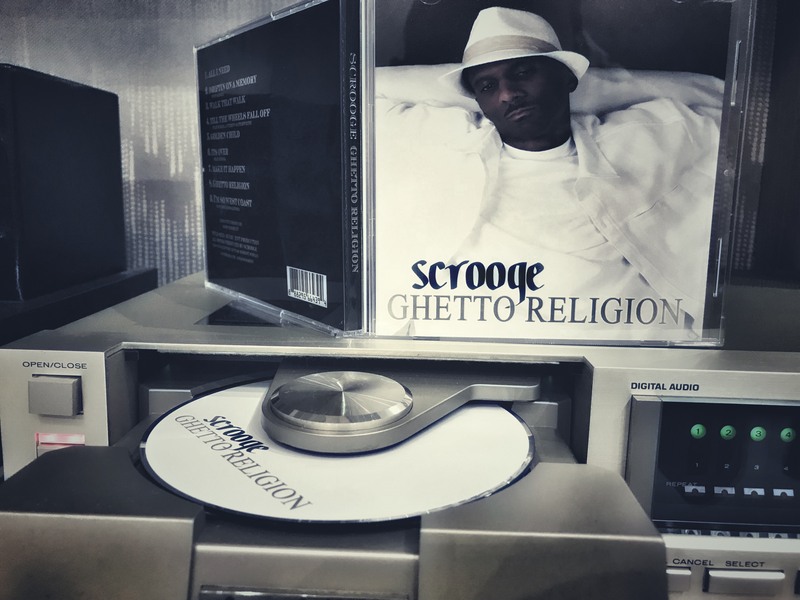 Amos Moore IV, the g-funk genius, rap artist & producer from Tacoma, WA, known to many g-funk heads as Scrooge finally has recently come back with his long-awaited 3rd album “Ghetto Religion”. Though it’s been 10 years since he dropped his 2nd album called “Ride Wit Me”, it was well worth the wait because his new album ain’t nuthin’ but pure g-funk dope, which we all been waiting for so long! He worked on this album about a year perfecting it in each and every way, with all the 9 tracks produced by Scrooge himself. On the album he got help of some nice vocal singers including his long-time companion LaKesha Edwards, and Robert Jordan on the guitars. What we try to say that this album was made with top quality: recording, mastering, pressing – we absolutely recommend this A+ release. You can cop this album in CD format or digital @ store.cdbaby.com delivered worldwide.